Stunning corner suite set within the most sought after collection of residences in the city, Marinaside Homes. Southwest facing with an abundance of natural light and spectacular water views from both the living areas and bedroom, this spacious one bedroom plus den home presents quintessential Yaletown living. Right out your front door is the Seawall, David Lam park, the Roundhouse Community Ctr., Urban Fare, and countless world class boutiques, cafes, and restaurants. The development itself boasts resort styled amenities including a pool, steam, hot tub, rec ctr, and concierge. 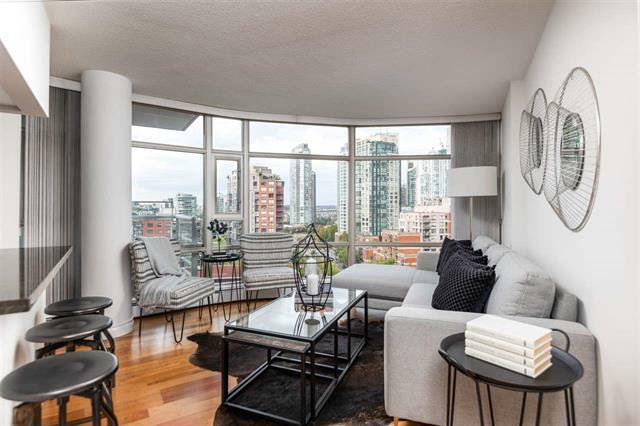 Extremely well run strata, built by Canada's premier developer, Concord Pacific. Truly an outstanding investment opportunity at this price.